The project YES Europe II Young people in Education and Studies working in Europe aims at helping students to find study and working options in Europe and is a follow up project. In work situations today it is required by many countries to be international and gain experience in another European country, but students are often reluctant to do internships, trainings or studies in another country as they are afraid and see too many obstacles. In certain parts of Europe today more and more young people know that they will be unemployed after finishing their schooling and therefore lack motivation to continue with their education and even drop out of school. There are young people needed in many work fields all over Europe, however, the students do not know how they can find an internship, training or job outside their home country. They also do not know how to find study options in a different European country. During the project students will gain the necessary intercultural, methodical, linguistic and ICT competences to enable them to find work and study options in the European partner countries and assess their own degree (EQF). A course YES Europe will be implemented at each school and integrated into the school curriculum which focuses on intercultural learning and application processes. Teaching material will be designed also based on material produced in the SCUBA Comenius project (Schools communication Understanding for Business Awareness and former YES Europe Project. 5 transnational meetings with all partners will be held in each participating country (Iceland, Slovenia, Italy, Greece and Germany). 6 and more students and 2-3 teachers of each country will participate in each meeting and function as experts and multipliers. The first meeting will be held as a youth conference where students will determine their needs when wanting to find study and working options in Europe. A work plan will be designed that will be followed at the next meetings. At each meeting local companies will be visited and question sessions will be held. Further, the students and teachers will meet with universities, job centers and the chamber of commerce to collect information on the job and study market. Students will learn about the education system, housing situation, work situation and study options in each country. At the end markets of opportunities will be held in each country and at the last meeting all results will be presented to local companies, universities, job centers, chambers of commerce as well as neighboring schools. 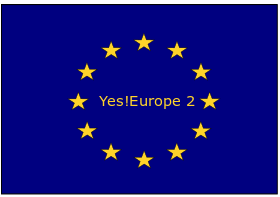 A YES Europe booklet/CD will comprise all results and will serve as a means for dissemination. The YES Europe homepage and the eTwinning platform will also insure dissemination of the project. The results of the project are valuable not only for schools but also for institutions such as companies, universities and job centers to help employees and students in finding jobs and education in the European partner countries, therefore, we expect to reach the institutions mentioned above. The number of people reached in the project will therefore amount to several thousand people in each country. The long term effects of the project will be that students will find work placements and study options in other European countries and therefore the motivation of students to move within Europe will increase. The number of jobless and aimless students will decrease and students’ self-confidence and motivation will increase significantly.